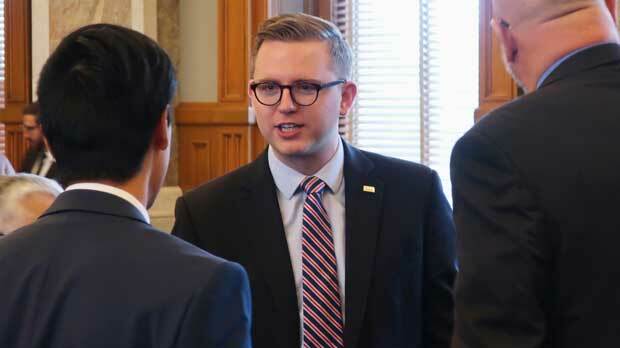 TOPEKA, Kan. (AP) — Kansas will swear in its first two openly LGBT state lawmakers next month and the new Democratic governor promises to end a ban on discrimination over sexual orientation or gender identity in state hiring and employment decisions once she takes office. Kelly takes office in January, along with the state’s first LGBT lawmakers, Democratic state Reps. Susan Ruiz and Brandon Woodard. They were elected in Kansas City-area suburbs, which also elected Democrat Sharice Davids, an LGBT and Native American lawyer, to Congress. But the partisan breakdown in the Legislature did not change, and among Republicans, conservatives gained at least half a dozen House seats at moderates’ expense and elected a new, more conservative majority leader Monday. In the Senate, a moderate senator resigned after being elected state insurance commissioner, and her replacement is all but certain to be more conservative. Editor’s note: The story has been corrected to show that the outgoing governor signed the adoption legislation in May, not June.